Tenosynovitis is one of the common features of rheumatoid arthritis in the hand. 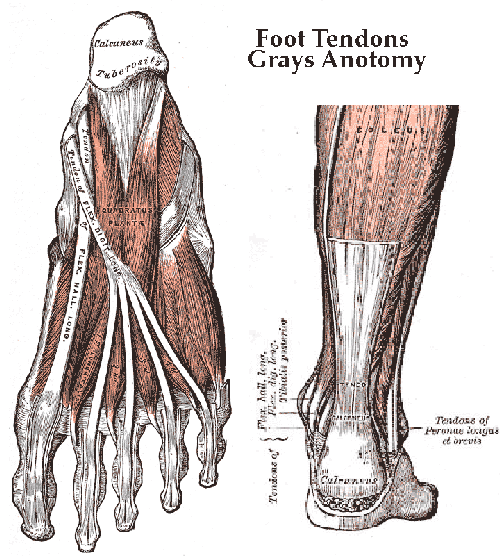 It affects both the extensor and flexor tendons, sometimes leading to granulomatous involvement and tendon rupture. The commonest sites of rupture are well known but the areas of more general tendon involvement are less understood. Increased number of ruptured extensor tendons significantly correlated with poor postoperative result of extensor tendon reconstruction in patients with RA. The number of increased ruptured extensor tendons also significantly correlated with duration between onset of rupture and surgery. We therefore recommend surgical intervention at early stage of extensor tendon rupture, in which only few tendons are suspected to be involved, to result in better prognosis. We’ve discussed the significance of tendonitis and tenosynovitis with regard to Rheumatoid disease activity (see list of articles below). Patients might notice symptoms like pulling, stretching, spasms, weakness, or cramping. From experience, I can attest to the rubber banded toes, and hands or feet that seem to possess a mind of their own. Like most Rheumatoid disease activity, the usage principle can be a factor. We should not underestimate Rheumatoid disease by being fooled into thinking it remains in the synovial membranes of MCP joints. Isn’t tendon involvement for spondyloarthropathy like Psoriatic arthritis & Ankylosing spondylitis? Postblog: Combatting confusion like this is one reason RAW exists. Tendon involvement is on a recent list of symptoms dismissed as not related to Rheumatoid. When a rheumatologist is dismissive, an expert in the specific specialty is usually helpful (such as the orthopedic surgeons above or a spine doctor, eye doctor, or skin doctor). I have had tendon involvement in both wrists. Right now I have a line of hard lumps on the palm of my hand. They are not painful but I think these knots are related to my RA. Your article was good because everything I had read told me that there was little I could do. But if I could prevent a tendon rupture by being vigilant to changes, I’d see an ortho doc. What you describe sounds a lot like Dupuytren’s contracture. If it is, there is a simple treatment. Almost any physician should be able to diagnose, but particularly an Orthopedic specialist. Best to you. Excellent information, thanks! This research info is so valuable, to help us educate our caregivers. I can’t imagine a rheumy can keep up w everything, and being able to educate them, on related research that supports our individual statements and unique symptoms, is the most powerful patient advocacy, imo. Thank you! I have a new friend who had that operation done recently and she has been delighted with the result. It did not make any of her other fingers less dexterous. When we get together I plan to take some pictures so I can blog about it. The bones in my wrist were so mis-shapened that they severed a tendon in my thumb. I can no longer bend my thumb at the first joint. This has caused a lot of mishaps with my thumbnail, so I have to keep my nail short or it gets jammed and broken or it cuts me or someone else. I could have had surgery but that would have involved taking a tendon from another finger to replace the one in my thumb. So I live with it. And, compared to other postings, it’s not so bad. This was interesting to read. Sometimes the best way I can describe the joint pain I have is to liken it to a horrible, horrible sprain. Only all over the place. That explanation doesn’t seem to sit well with rheumatologists apparently, but the two other doctors I see for other issues seem to get it. This is so helpful. Printing it off and taking it to my Doc. I am on doctor number three. She was the first one to actually do an ultrasound on my knee tendons. The findings are the are all inflamed. I was given mobic and told that it’s just tendonitis. I asked her can you please ultrasound my hands, feet, neck, hips, shoulders and elbows. They all hurt! Won’t do it until my next appt. in June. I am one of the statistics where my blood test does not show signs for the disease. They usually are always just a few points over the normal range so they dismiss it. So here I sit, two years and counting trying to find out what is wrong with me. These are my symptoms low grade fever off and on for the last 10 years. In the last few years I have had a temp 99.9 to 100.8 it runs higher on those bad pain days, inflamed organs, vomiting, hair loss and extreme fatigue, hot spots, swollen finger joints and feet. First signs of pain started on my left heel and the top middle of my foot. When these symptoms started my ortho took mri of that foot and all of my tendons were inflamed leading to my toes. I have seen a regular physician, kidney specialist, infectious disease doctor, internal medicine which recently my endoscopy showed I have a severe inflamed stomach lining, esophagus and all of my vomiting has caused a hiatal hernia that needs repaired. All of these doctors have said they think it’s RA or auto immune related. Yet, here I am on doctor number three for auto immune diseases who tells me it’s tendon related not RA. I try to keep on the positive side of things and not get angry or frustrated. So often it feels like I have to bare the the burden of proof that I am ill. Do these specialists not hear us or will they continue to push all of these commonalities of symptoms amongst us under a rug until the blood results come back with a positive. If I had a wand to let them live in our shoes for a week I would use it. Trocanteric bursitis is listed as commonly being caused by RA but either my physical medicane nor my orth surgeon were aware of this association. I have been with TBursitis several times over 20 years and a recent literature search on the Internet shows RA is a common cause of TBursitis! Hip pain does not mean a hip replacment! Another example of non-joint manifestation of RA! Thank you Kelly. GREAT post !! It is so helpful to gather up research to “prove” what we shouldn’t have to be proving. So much of the findings in the literature SEEMS to be common sense. Unfortunately, the logic doesn’t transfer over to a consistent level of treatment in rheumatology, YET. I’m still stunned by your Hang 10 post and the fact that feet are not included in the DAS28 joint count, the CDAI or the SDAI patient questionnaires. How does one justify not including these parts of the body that are so obviously involved from early on ??? This has to change !!!! When I explain to people about exams that are commonly done in rheumatology, they are astonished. Just saying out loud that doctors push around on joints (often ignoring feet) to see if they can feel inflammation or detect tenderness, sounds so ridiculous in 2013. I always give the analogy that it is like going in with a broken foot and having a doctor push around on the spot then conclude, no you’re fine ! Or…. the doctor totally ignoring that part of the body because it doesn’t count. This is just nonsense. 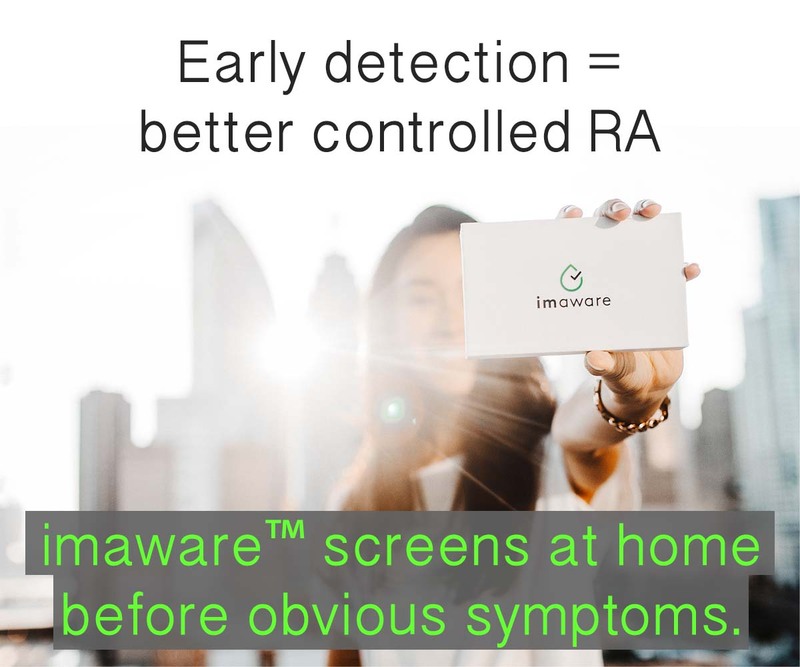 I’m delighted to see so many people with or who suspect they have RA either insisting themselves or their doctor ordering MRI or ultrasound to get a more objective view of what is happening inside the body. Victoria, I’m curious if your ultrasounds show erosions of the bones as well as the inflammation? The presence of erosions with inflammation lends further evidence to a diagnosis of RA. Once again, Kelly, thank you !!!!! I have only had one Xray on my left hip from the first doctor two years ago. It showed no signs. One thing I have tossed around in my head is to go and gather my films over the last 10 years from my orthopedic doctor. Before I experienced the extreme symptoms, I had a full left ankle fusion. The entire joint was eroded. Bone on bone. They had to take quite a big chunk out of my more than average to make sure that my legs would be equal length. I was told all of my toes in that foot showed arthritis and nothing more was said. I have had 3 surgeries repairing my extensor tendon on the left leg. It has torn so many times they can not stretch it anymore. He said it has so many weak spots it looks like a rubber band with thin and thick spots ready to break. Each time I had this happen it was from normal everyday activities. I have spasms weekly in both feet. Sometimes so bad I have to physical uncross my toes. The answer to solve this problem was take in more potassium and more exercise and stretching. My blood tests have never shown low levels. I want her to take an X-ray of my right index finger. It is slowly twisting and the main joint is getting quite large just in the last few months. I am just trying to put the puzzle pieces together. We all know the cost of this disease. Ironic in the fact that I am the one that has researched for hours and hours trying to figure it all out. My first RA doctor was awful to me. The last appointment with her she asked me if I was wanting RA. Told me to take a look in her waiting room at all the people suffering in her waiting room. If I wanted to be sick pick another disease. Thank goodness I had my husband with me. I was so stunned, hurt and scared it was all I could do to walk out of that office with my head held high and no tears. I went into a deep depression for about 2 months. My only support has been from my regular physician. She has taken upon herself to learn more about RA and has been the one who keeps me motivated. She has even called to check on me many, many times. Victoria, since you do have an excellent primary physician, I’d suggest you ask her to please refer you for power doppler ultrasound or MRI of the most significant areas. X-rays DO NOT show damage until several years after erosions are present. X-rays DO NOT show areas of synovial thickening, inflammation, or cysts. If you are in a large urban center with a lot of advanced imaging centers or have access to a University Hospital imaging department, these will likely have trained technicians and radiologists who can administer the tests with good reliability. In this day and age, power doppler ultrasound or MRI should be the standard of care when imaging joints. What the newer imaging techniques pick up are bone erosions, synovial hypertrophy (inflammation), effusions (fluid filled cysts), and tensosynovitis. Using these newer imaging techniques takes the guess-work out of diagnostics and treatment and lends evidence to clinical exam, medical history, lab work, etc…. It’s too bad that orthopedic surgeons are equally unaware of this. I had trigger finger release surgery a couple of years ago, and that seems to have triggered the avalanche of problems I’m currently fighting through. The surgery set off swelling of the entire hand, intense pain, loss of range of motion, and rapid development of a palm full of nodules (hi, Ruthe!) The hand surgeon was dismissive about it all, but the hand therapist they sent me to urged me to see a rheumatologist. The surgeon, prince in Armani that he was, gave me the name of one, told me she was hard to get in with and that I’d hate her once I did, and that she would have no help for my hand. I wonder now if a more open-minded attitude then would have saved me some of the damage I’ve accrued since. The info I read here – I’ve never heard from any of the medical professionals who have seen me in the last four years since my diagnosis. Why? I was diagnosed with primary Sjogrens late last year after over 4 years of symptoms. 2 years ago, I started having severe hand and wrist pain. Things are so much better now on mtx, but I do have tendonitis in my left shoulder and hip that flares up quite badly. I also have this excruciating pulling sensation in all my finger joints when I have to lift something heavy or do repetitive tasks. Does this sound like RA related tendonitis? 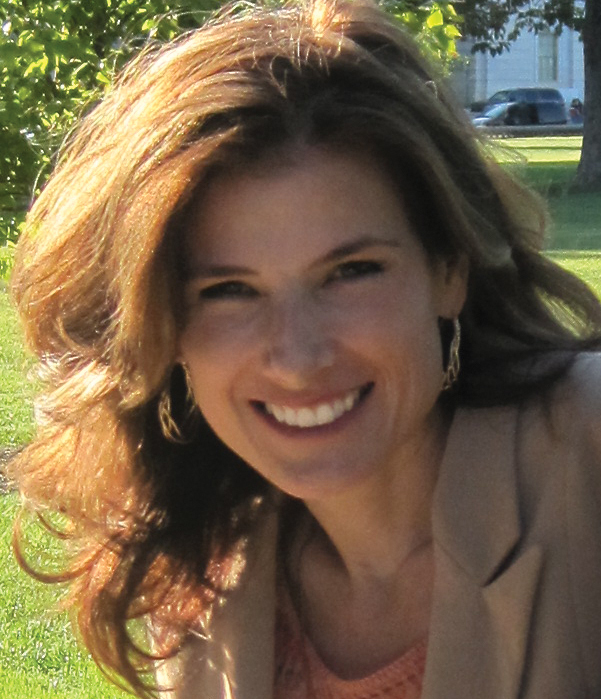 Erin, within RA-diagnosed people, our experiences are very different. Also, joint symptoms can be attributed to the SS too as I’m sure you know. Sometimes the only way they know for sure which to blame is a positive blood test – there are now 2 that seem to be pretty distinctive of RA – the anti-ccp and the new 14-3-3eta (see yesterday’s post) OR a tissue biopsy which would come after a procedure or surgery. Most likely, you’ll have to “wait and see” if it progresses to RA. Have you had those blood tests? Thanks Kelly. That’s kind of what I thought. If anti-CCP is the same as CCP antibodies, I did have that done 2 years ago. Mine was <15.6 and <20 is negative for this lab. I'm Seronegative for anti SSA and anti SSB and my salivary gland biopsy was normal. But my rheumy diagnosed me with sjogrens based on my symptoms and response to prednisone. I'm now on MTX 15mg a week, and I feel almost normal most days. I have had two very severe hand flares…got pretty swollen and so painful I couldn't use my hands at all. Felt like I had stuck my hands in a blender and set it to puree. At one point my rheumy had mentioned RA, but he officially diagnosed me with primary Sjogrens at my last visit. I'll bring the joint separation thing at my next appointment, and those 2 tests. Can always add that in when I go for my MTX blood tests. Thank you SO much for this article. About 6 years ago my achilles tendon ruptured for “no reason” and had to be surgically repaired. It did pretty well healing but over the last 6 months I’ve had painful spasms in the same leg with my foot and toes doing things I can’t control. Neither my rheumatologist nor primary has had answers for me and as often in the past ~ I’ve wondered if they think I’m a hypochondriac! When I left the military in 1995, they said all my wrist and finger problems was due to tendentious.. and give a 0% service connected rating for it. In the letter it said there was no sign of arthritis. In 2009, the VA clinic said yes, I have RA and OA. I think it is time for me to have my disability rating reviewed and my service connection disability changed to RA instead of tendentious.. this article will go with the paperwork for that to happen. Also, two weeks ago my right middle finger locked up so badly I couldn’t “unlock” it for almost 2 hours. Now it is swollen and I cannot straighten that finger completely. I am sure it is trigger finger but not sure I want to go through an operation to fix it. I had surgery on this finger back in 2000 due to tearing a ligament from the muscle just by flicking my finger and hitting nothing but air. good luck with the paperwork Alice. Thank you for your service. Thank you for all you are doing. I truly believe that everyone services their country in one way or another. Mine was in the military, yours is educating us in this disease! Hi Alice. I have had serious trigger finger recently in multiple fingers, and cortisone injections helped all but one of them… Worth considering. I was diagnosed with RA and fibromyalgia in 1996, and after a few years of severe disability (couldn’t drive, brush my hair, etc), the RA is fairly well controlled with meds. I rarely have inflammation anymore (I take 15mg mobic daily), but my hand and feet (!) joints are usually tender when examined by my lovely rheumatologist (she squeezes them and watches my face to see if I wince! She actually evaluates based on my pain!). In the past few years, many tendon and nerve symptoms have been emerging… carpal tunnel, cubital tunnel, sciatica, cervical spine issues, and various neuropathies. Thanks to Kelly for confirming that this could all be related to my RA!! Once again kelly has provided us all with valuable information….I have been dealing with this in my hands and wrists for 6 years now and Iam actually looking into wrist replacement….4years ago, after having a knee the size of a large mellon I had a bakers cyst that was attached to the back of my knee un-attach itself, move down to my calf and burst…wow! did that hurt. All of the tendons , the upper side, was severed in my feet, to allow my feet to remain flat and not curl inwards to the bottom. I have a photo, but cannot seem to copy paste from my albums on my pc. Thank you Kelly. Yes, I have tendon involvement especially in my left wrist. Sometimes it will cause such pain it causes the hand to become so painful I can’t move it. I have to bind it so it can’t move. When this first happened I went to my primary care doc and he wrapped it in an ace bandage calling it tenonitis. Another thing I suffer from with RA but haven’t noticed on here is muscle spasms. My right shoulder will spasam and when it does I am paralyzed with pain. The doctor can see the knot. It is below the shoulder and above the shoulder. Sometimes I feel it when I turn my neck trying to spasm and always seems to be there ready to knot up. Occasionally it feels like a bee sting in the same area. No doctor seems to know what it is. One said to use a pain patch but that caused so much irritation that it wasn’t worth it. I just came back from my visit to my rheumy….I came away very discouraged, feeling like a hypocrite, a big baby and a complainer. I had a list of questions for the doc that were a concern to me, i.e., I have stabbing pains – her answer that cannot be caused by the RA. I have tendons that will spasm until I am in tears, again that wouldn’t be caused by the RA. I have pain in my hips until I can’t walk at times, again that wouldn’t be caused by the RA. Doc told me the only joints that the RA would cause pain in is the small joints of the hands and feet. I got so discouraged that I just gave up on my list of questions. I was on Humira and three months ago she changed me to Simponi. I told her today that I was doing better on the Humira. She said she didn’t see any sense in changing me back to Humira even though the Simponi seems to “run out” in about 2 1/2 weeks, 1 week and a half before my next injection. Dear Nancy, your comment comes at the perfect time. I won’t say too much now, but I’ve just had a similar experience. Thank you for reminding me none of us are alone. I’m sorry your doctor is not more curious or open-minded to learn or help you better. The stabbing pains, if you want to say more, I’m interested – where do you have them? Are there any other symptoms with it? How long do they last? Kelly, the stabbing pains are mostly in my hands and they last anywhere from 5 to 15 minutes with varying degrees of severity. I do also have stabbing pains in my ankles at times. They come without warning but my hands are usually aching before this happens. I will also have spasms in my fingers where one finger will be pulled down under the rest. I have learned so much from your site and it has really helped me to keep my sanity. I know I need to find another doctor but it seems to be a consensus that a lot of rheumy doc’s just don’t get it. I live in the Atlanta area if anyone out there knows of a ‘great’ rheumatologist. Thank you again Kelly for all you do! Nancy, I have had stabbing pains in my elbows both at the same time there were shooting pains from my wrists up my arms…both sides at the same time…my hands felt like they had been slammed in a car door. This happened when I went to bed…why is it always worse at night? This was so painful and my whole body was involved with different types of pains in different parts of my body. I really wanted to die during the onset of this disease. I couldn’t even open my mouth or stick out my tongue. I am so sorry for the pain you are suffering. I can only imagine how hard that is for you. I too seem to have worse pain when I lay down at night and often lay there in pain for hours before I can ever go to sleep. I will have many spasms in lower back, my legs, toes, feet, etc. I’m having a lot of pain on my right side right now (last 3 weeks) and last night was miserable. I pray you can get some relief from your pain and that one day very soon the doctors will “get it” when it comes to RA. I know there are wonderful doctors out there who do get it, I just haven’t found that yet. Nancy, When I had the terrible pains at night especially the upper body, I had to sleep on the couch. That way your back & shoulders are cradled against the back of the couch. A good heating pad helps. I slept this way for 2 years till the pain changed direction which is typical with RA. I hope you can feel better soon. The lab tests confirmed that it was RA. It is almost always in my tendons. As far as morning stiffness, the joint would be able to move if the tendons would lighten up. When a flare first starts with me, I can feel the “drawing up” sensation. I see red lines that follow tendons. I am certain that eventually I will rupture a tendon. When I was first experiencing symptoms the visual that came to me during a flare is of the tendons shortening and pulling my bones out of alignment. It made sense to me that this is what occurs with the “swan neck deformity” classic for RA. Before I even had the diagnosis, I was certain that my tendons were pulling on structures just based on the pain and the limitations that the inflammation caused. Trying to be accurate in reporting my symptoms to the rheumy, he became frustrated when I told him that my joints don’t hurt and that morning stiffness lasts all day, sometimes for days, until the flare is over. That rheumy felt that I was “difficult” and that my RA was not so bad since I did not experience more stiffness in the morning in comparison to other parts of the day. He felt that since my joints did not hurt, then I must be making more of it than it was. The Nightmare of Elm Street picture is still what I feel like when flaring, but now it does seem like my joints don’t work the way they used to, and that my wrists no longer can do certain things even when not flared. I also have muscle spasms which rheumatologists say is not RA, nor do they wish to treat it, saying I am already on so many meds. All of the meds I take are for the RA specifically, all DMARDS and tramadol for pain. my tendons in my hands hurt very frequently. I, on mtx and folic acids. Also ni get it in my feet which i have right now. i know its from ra i asked my ra doctor last visit and she said if still in pain then go see a podiatrist. I am not sure about this, but when the surgeon replaced all the joints in the back of my hands with plastic joints, also fusing my thumbs, he restrung some tendons. If tendons aren’t damaged by RA then why would he have to tighten these? 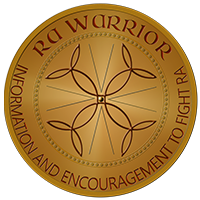 I have had some painful tendon episodes in my hands & wrists that could only be related to RA. Sometimes it seems like RA is an evil animal roaming throughout the whole body looking for anything it can damage, twist, or distroy. My Achilles tendons along with my tennis elbow type tendon pain where some of the things that got me to actually complain to the doctor. My arches have both collapsed which I believe to be a direct result of the tendons giving up on me plus numerous hammer toes. I am unsure if my twisted fingers are a result of tendons, joint damage or both. Plus the ulnar lean with both hands is tendon related. Also, when I get up in the morning I swear I can feel the tendons in my lower back as they move through their sheaves when I first bend to sit up to get out of bed. As a result of my tendon involvement the first med I was given was Plaquinel. This did wonders for my tendons after just a few weeks, unfortunetly it isn’t as wonderous as it used to be but still helps. Recently it has been shown that patients with RA should NOT receive Cipo – yet I have been given this antibiotic for an infected hip and have taken this antibiotic more than I care to relate. I will avoid in the future! I’m new to this wonderful website and all the information it contains, but so glad I’ve found it. That said, I’m still working my way through the tons of info so apologies if an answer to a question I have is somewhere and I just haven’t found it yet. I’ve just returned from a very frustrating and dehumanizing appointment with a rheumatologist. He said that none of my pain was joint related because he “wasn’t seeing anything.” (dang it all- I totally forgot to push the “swell” button before I left the house this morning!) His professional opinion is that I have tendonitis in multiple sites (hands, wrists, feet, ankles, knees, shoulders, & hips) and that having a new baby of 10 months of age, I’m out of practice doing some things like bending and lifting things in awkward ways is the source. My oldest is 17, then 10 and now a new little one. He pointed out the significance of the spread of their ages as justification for this. He suggested I try Yoga. I’m 35. I was given a diagnosis of polyarthritis; early RA in 2005 but the rheum then was not willing to commit to that diagnosis because I had no deformities. I gave up on him and the meds after almost a year because I was “in remission” and “had no deformities” and when asking why my pain wasn’t going away after using the DMARDs he couldn’t or wouldn’t explain why or make suggestions as to what to change. It may or may not be relevant, but my treatment was provided by “The Pride of Navy Medicine” so almost certainly two things were true, he was on many levels a “student” inclined to make decisions that met textbook definitions only and inclined to make decisions that ultimately saved the military money. After 19 years experience, you begin to understand why some medical choices and decisions are made. Interestingly, the rheum I saw today just happened to be in command of the Rheumatology Clinic during my time being treated there. I had hoped that would give some credibility to my visit today. Not at all. He even went so far as to say that he wasn’t the one who diagnosed me in the first place and sometimes RA is “over-diagnosed.” Really? Bottom line, I’ve stayed away from doctors all together for seven years (he was delighted to point this out as if to say -See?) despite the fact that I have had steady symptoms during that time. I stayed away because it has never been more than I could handle, not everyday and mild to moderate. What’s happening now IS everyday, in many new places, and meaner. I’ve experienced joint lock ups now and never experienced that before. I’m having full body flares that come out of now where and keep me wanting to do nothing but lay in the bed. The extremes are not every day, but they are there-stabbing, burning, cramping humming away like little generators in my joints. Oh sorry, tendons. Please forgive me, I do not in any way wish to make light or be insensitive to anyone who is suffering on any level with RA with my ranting. I must sound whiny and ludicrous…like I actually want to be diagnosed with a chronic disease. No one wants that, but what do you do when you know something is not right and you can’t get anyone to agree with you? Is it truly possible to have tendonitis in so many places at one time and it only be just that? I’m incredulous. I even took pictures with me of swelling and redness that my daughter helped me take. He looked at one for all of a half a second and continued to talk about the “effects of tendonitis” on the body. I’m torn between giving up and turning militant but either way I’m concerned about being viewed as a crazy hypochondriac. But hey, I’ve got a shiny new brace to use at night to sleep with. What device do I use for all my other sites of tendonitis? Sorry for the longness of this post and my loaded sarcasm. My emotions are definitely working overtime today. I would like to know what insight or advice anyone could offer. In the meantime I will continue to dig through the site. HI, I was diagnosed with Ra in 2009 I was 35. I began with stiff hands & Feet.. It literally came out of nowhere. My range of motion in my right hand is terrible. Im inflamed all the time. I can no longer my a fist. An Mri of my hand and wrist impression showed: severe extensor carpi ulnaris tenosynovitis. there is additional severe flexor digitorium tenosynovitis of the second of forth digits with possible partial tear of the flexor tendons of the index finger and disruption of the A2 plley of both second and third fingers.. I have absolutely no joint ersoions( which Im thankful for).. Im just a little confused because its been 5 Years & it says that tendon problems start in early stages.. Is it possible for me to still be in the early stages? Thanks for the Info It shed a bit of light in this fustrating situation..
Any talk of “stages” would be generalizing because everyone is different in how the disease progresses – the order & the rate of symptoms or destruction. I have been having issues in my fingers and wrists and if I move the hand a certain way, it feels like the fingers are slipping out of joint and they don’t move well. It happens mostly with my right thumb and wrist. It is very strange to experience and sounds like it is a tendon issue. Went through same. Over 18 mths of various issues. Bone scans etc. suggested osteo. Bloods were negative. In the end.found a gp and specialist who looked further. Had MRI in the end. Confirmed RA. Now undergoing treatment …. Best wishes to you. Dont give up. I have aggressive rheumatoid arthritis and all kinds of tendon issues. My hands are clearly deformed. I just had hand tendon reconstruction surgery. I don’t think my hands will ever be back to normal. I really think that rupturing two tendons in my hand was really NOT due to inflammation as I haven’t been flaring due to my RA recently. My point is you don’t need to necessarily have a flare up or flare ups or have inflammation, to experience tendon rupture. They need to definitely study that more. And I do think it is definitely related to RA. I agree with this article. In 2005, I completely ruptured my left achillies tendon and then 2 weeks later my right achillies completely ruptured too. At the time I was informed that it could be down to steroids, but reading this was an eye opener and very helpful. It made understanding what happened a lot easier. I now have problems with another tendon in my ankle. I pray nothing like this will happen again. I have yet to find a Rhuematologist who would agree to RA tendon involvement, even though I know personally that RA effects my tenndons! They have a long way to go in in understanding RA! When I attempt to get “technical” with any Rhuemy, they sort of shut down. they are either too rushed or they don’t know. I consulted with a rhuematoLogist due to joint pain and hand problems and was diagnosed with RA. I have ulnar deviation in both hands with large Knuckles and tendons get caught between knuckles causing ring and pinky fingers on both hands to lock in downward position. Taking 15mg methotrexate per week orally but it has not helped hand problems. Anyone have a suggestion? Just read my post from April 2013 regarding a severed tendon in my left thumb. Now I am recovering from carpal tunnel surgery which was suppose to include the release of the trigger thumb on my right thumb. During the week between the hand surgeon determining I needed surgery and the surgery itself the tendon in that thumb ruptured. So I just had the carpal tunnel surgery. The doctor said that my tendons are in pretty bad shape. This all started six months ago with numbness in three fingers. I brought this to the attention of two rheumatologists and the surgeon who did the ruptured disc surgery on my back. None of them responded. Finally my PCP thought it may be carpal tunnel and ordered PT. that didn’t work either but got the ball rolling on me seeking the skills of a hand specialist. My advice is to keep looking for answers. If at all possible seek out others doctors, ask your friend’s opinions, and look for blogs like this to give you the answers you need before the damage is irreparable. Thank you good info. This is Sunday am … since Friday afternoon my hands have been useless due to pain and swelling in my wrist palms and fingers. I could not even OPEN my bottle of 800 mg IBU :(. First the left then the right for Extreme pain. I have been experiencing what I call floating tendon/joint pain over the past few years…one time my right foot was sensitive as I left work…by the time I got home (45 Minutes) the pain was in my foot and hip to the degree that I had to left my leg with my right hand/arm to use the brake. Solution for me is a kenalog shot every 3 months. That really does the trick. I have been trying so hard to balance my diet and world to avoid the shot …. I even “Made it” for 9 months once last year. I am currently 3 weeks “past due” and am having the challenge of debilitating pain (especially as this round started on Friday – can’t see the doc til Monday ((I Pray)). Any tips would be appreciated. A local RA specialist deemed my RA blood count #’s not high enough to even give me an appointment.